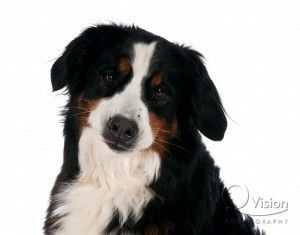 *Consultations: Consist of the trainer assessing your dog and discussing a training plan. Is your dog unsure of how to play/ socialize with other dogs? Have they had an altercation with another dog? Are they extremely nervous of other dogs? K9 Central is now offering a one on one social hour. Drop off your dog for 1 hour and K9 Central training staff will work on slowly introducing and socializing your dog with other dogs of different temperaments in a positive/rewarding environment. In-Home training gives us the opportunity to work one on one and address any issues you are having. 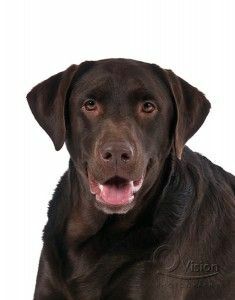 The first time we meet - we will go over any issues or concerns you may be having with your dog. We will then work on the skills required to help manage and solve those issues. *Consultation fee is waived if you have already done a 4 or 8 week private package at K9 Central. The follow-up lessons are more hands on and we will now take the skills we learned and put them into use in the "real world" and in "real life" situations. Now offering In-Home Puppy Consultations before or after you bring your puppy home to help get you prepared to raise a well-mannered puppy! We will cover everything you need to know from crate training, potty training, to basic behaviors. We will also go over puppy problem prevention. For Puppies under 20 weeks (5 months). After you initial Puppy Consultation - let’s keep the training going! Puppies learn new behaviours every day. Let's be positive they are the behavior's we want! Puppies learn both bad and good habits - depending on what we do with them and what we let them get away with. Our Ultimate Puppy Training will help to speed up the training progress with your puppy and help prepare your puppy to become your dream dog! We want to prevent unwanted behaviours and to ensure your puppy doesn’t learn bad habits that you will later have to un-train. This program is offered on a one-on-one basis in order to ensure that it is completely tailored for your puppy and your training goals!This program is perfect for all puppies and owners that want to get off to the right start. Please call 905-623-3940 or email info@k9central.ca to book an appointment. For puppies 8 - 20 weeks of age or small breed dogs under 6 months. This four week puppy program will provide you with all the right tools and knowledge that is necessary to raising a well mannered happy dog for years to come, along with building and maintaining a relationship based on mutual trust and respect. You will not only learn how to prevent behavioural issues from becoming ingrained in your puppy, but you will have the confidence to take your dog everywhere with you. Your puppy will learn how to respond quickly and reliably to your verbal cues around the added distractions of other dogs, new people and different surroundings. Your puppy will learn good ‘bite inhibition’ (gentle jaws) by socializing with other dogs of different breeds and sizes. In addition your puppy will also learn to love meeting and being handled by new people of different shapes, colours and sizes. Wondering what to bring to class? What to bring to class Clickers are handed out so that we can teach you clicker training, however are not mandatory. Let's keep the training going with our puppies and build some confidence, all while having a ton of fun! We will continue to work some of the skills we learned in Puppy Kindergarten, we will help build our puppies confidence with all the fun agility equipment, and we will also play some shaping games! This class is a great outlet to burn some of that excess puppy energy and help us have fun and connect with our puppy! Do you have a new dog sport prospect in your family?!? Are you hoping to maximize the spongelike puppy brain and implement the best sport foundation possible? Then you need to enrol your pup in our new Puppy Sport FUN-damentals class. This class will be for young puppies only so that we can work in an exciting and arousing environment and maintain a safe environment for puppies to learn boundaries and and the concept of engagement with their handlers with safe distractions. In this class we will be introducing body awareness and confidence building exercises, we will work on drive-building with toys, recalls and some basic tricks and skills. This training class is aimed at puppies and dogs over 20 weeks of age. We cover all the basic training skills you need for a happy family pet and promise an enjoyable night out. K9 Central’s trainers will help you build solid communication skills with your best friend. Using positive techniques, you will learn the basics such as loose leash walking, focus, impulse control, recall, sit, down and stand. 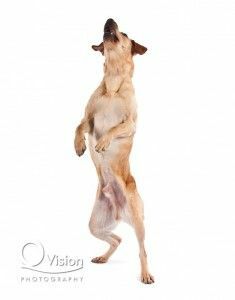 Let us show you how to set clear guidelines for your dog’s behaviour and effectively communicate the rules by always rewarding correct behaviours and not rewarding (however inadvertently) unwanted behaviours. This class is for people who have completed Basic Manners and would like to touch up on some of the skills they have learned in Basic Manners. A great training class to continue to build your ultimate K9's vocabulary, attention and confidence, not to mention a fun way to impress friends and visitors! Tricks taught include: spin, wave, crawl, rollover, bow, chin, weave walk, high five, back-up, twist, paw, play dead and more. We’re taking it to the next level! In this intermediate training class, we continue working on your dog training skills, while polishing those skills you learned in Basic Manners. Does your dog pull on leash when you are out for a walk? Would you like the pulling to stop, so you can enjoy your walk? If your dog is constantly pulling, it will make your walk unenjoyable and can be unhealthy for your dog. When your dog pulls on leash it is self rewarding, meaning, when they pull it gets them where they want to go and quickly. Our main focus of this 4 week course is to teach your dog to walk nicely on a loose leash and not pull you. During this course we will be working both inside and outside. You will need to bring a leash,collar/harness, and treats! The recall is arguably the most important command your dog can learn. While off leash, your best friend must come when you call. All the time. No exceptions.